Tata Motors has added to its range of models equipped with Automated Manual Transmission (AMT) by expanding its sedan portfolio. Today, TATA Motors announced the addition of two AMT variants to the Tigor Styleback sedan range. Available in XZA and XTA variants, with the Revotron 1.2L petrol engine – the XTA variant is priced at INR. 5.75 Lakhs, ex-showroom Delhi and the top-end XZA variant is priced at INR 6.22 Lakhs, ex-showroom Delhi. The new AMT cars will be on sale across the country in over 600 Tata Motors sales outlets, from today. The TIGOR AMT will further strengthen the company’s addressable market range. The new TIGOR AMT brings global and contemporary design with advanced technological features targeted at young and dynamic customers and comes with the first-in-class Sports Mode, which gives one a spirited and peppy driving experience. Given the current traffic scenario and growing driver fatigue levels, an AMT is the perfect solution to bringing back the joy of driving in a city, without compromising on fuel efficiency. As per our turnaround strategy, we are working with a renewed focus and energy to improve our market share and bring products that align with customers’ aspirational and practical requirements. Keeping with the trend of this growing segment, we introduced the AMT variants of the hatchback TIAGO, which has so far received a tremendous response. Now, with the TIGOR AMT, we continue to reach out to our customers with stylish and feature loaded products that offer best-in-class technology and design engineering. The TIGOR AMT is equipped with four gear positions – Automatic, Neutral, Reverse and Manual for smooth and regular acceleration to offer a comfortable and stress-free driving experience. In addition, it boasts of a first-in-class Sports mode, for a spirited and peppy driving experience. The Manual mode helps shift gears at a flick of a gear stick for an engaging experience. 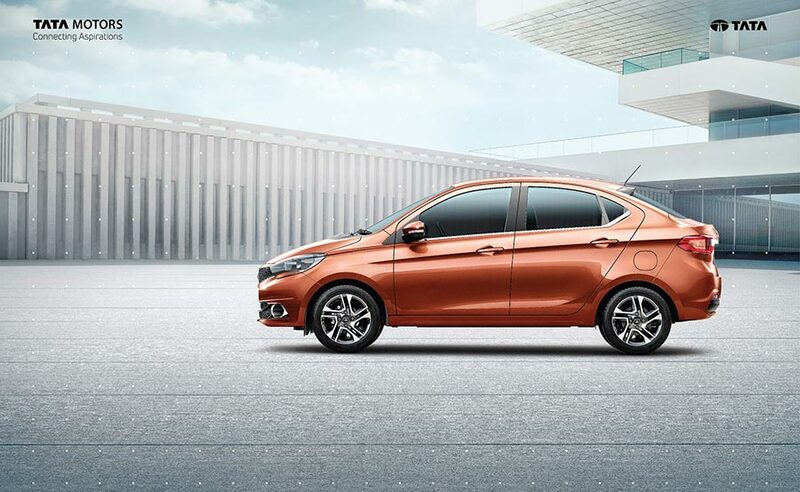 For ease of manoeuvrability in heavy traffic conditions and during parking, the TIGOR AMT comes with an in-built ‘creep’ feature, which enables the car to crawl as soon as the pressure is eased off the brake pedal, without pressing the accelerator. This function also prevents the car from rolling back when it starts from an inclined position.